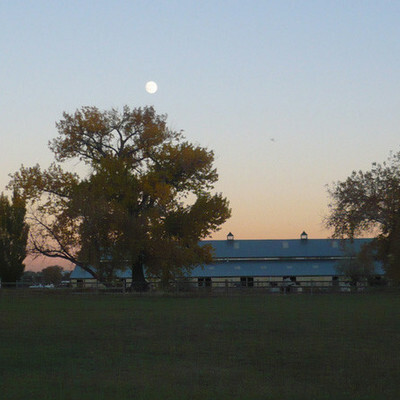 Much more than just a place to keep your horses, it's a place you can really relax and enjoy your horses. Plenty of space to ride including a full size multi-use indoor arena (70 ft x 180 ft) with a viewing platform and heated indoor viewing area. The indoor arena is watered and draged at least once per day (more with heavy use in the winter). The two main outdoor arenas are purpose dedicated to eliminate setup time. 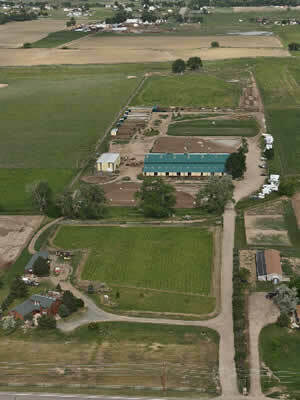 The west side dressage arena (144 ft x 280 ft) always has markers up while jumps and poles can stay in place in the east side arena (160 ft x 244 ft). 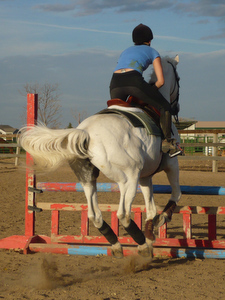 The outdoor arenas are dragged as needed but at least weekly. A third small outdoor turf arena is used mainly for walking and rehabilitation. There's plenty of open space remaining on the facility's ~40 acres operating total. Click below for a larger version of the site map. The barn and indoor arena are bright and airy with dozens of massive skylights and solid wood rails, stalls and tack rooms. 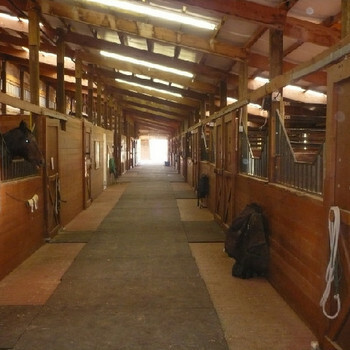 Seven large tack and feed rooms mean you'll have space for storage, prep and work. All the tack and feed rooms have recently been improved with concrete floors. There are eight cross-tie areas so there's never a wait to tack up. Other ammenities include a horse washing station for after your ride. 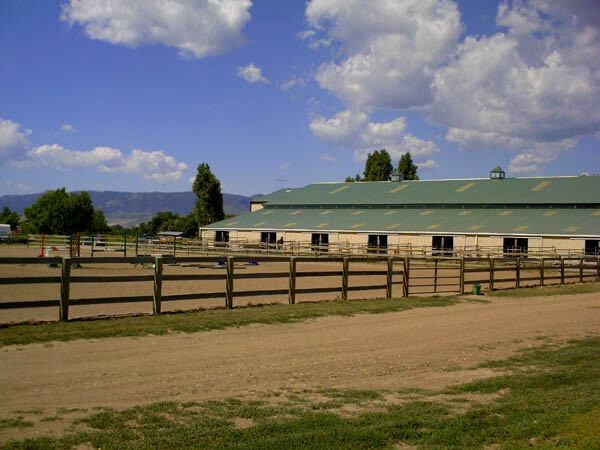 Boarding options include 12 x 16 ft. box stalls and 12 x12 ft. stalls with 12 x 32 outside runs, private or shared paddocks and a six acre pasture. Additionally grassy turnouts totaling approximately ten acres give all the boarded horses a place to kick up their heels. The large but comfortable facility is home to a friendly, happy and diverse community. 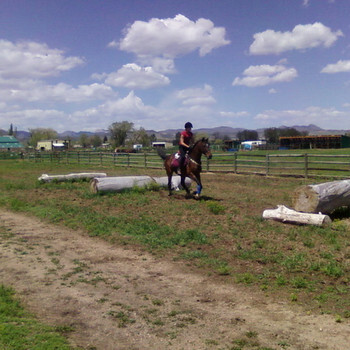 Both the most sought after dressage trainer and most sucessful young hunter jumper trainer in northern Colorado work from Paradise Found.